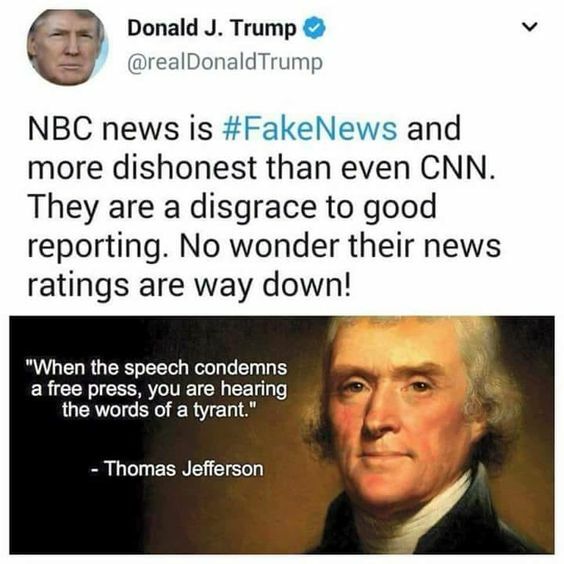 This isn’t fake news. This is the actual transcript of Trump’s live broadcast. Most third graders could do better. We all know #BLOTUS cannot tell the truth. It is also painfully obvious he cannot speak in coherent sentences. At least he made it through this broadcast without any derogatory, racist, or obscene remarks. That’s a win, right? 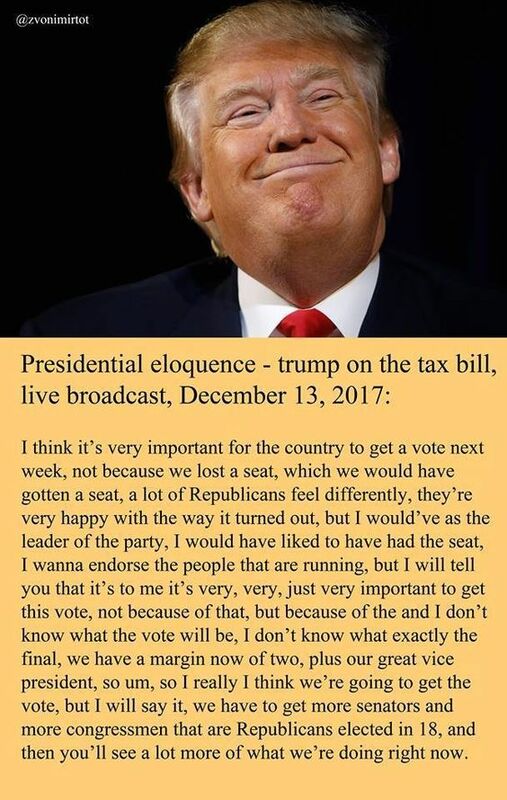 This entry was posted in News & Views, Quotes and tagged BLOTUS, coherent, common sense, derogatory, eloquence, live broadcast, obscene, racist, Republicans, sentences, speech, tax bill, win on January 17, 2018 by Ray Buchanan. The video clips of yesterday’s speech to the Boy Scouts offer another clear demonstration of why all of us need to oppose this president and his lack of basic decency. The #BLOTUS did not try to inspire these young minds. Instead he demonized his 2016 defeated presidential opponent, and even had them booing her. And he loved every second of it. I don’t give a damn what you think of Hillary. Allowing the President of the United States to stand in front of a massive United States flag while brainwashing young boys into taunting political rivals brings up images of Adolf Hitler in front of crowds of Nazi Youth. The image far more than just vividly eerie. It’s blood-chilling. This entry was posted in News & Views and tagged blood-chilling, BLOTUS, Boy Scouts, brainwashing, flag, Hillary, Hilter, image, Nazi Germany, Nazi Youth, political opponent, pre-Nazi Germany, speech, taunting on July 25, 2017 by Ray Buchanan.